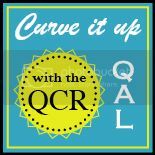 the running chicken quilting: Indecisive or just not sure...!!! 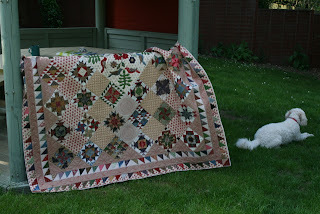 Busy again this week....L's quilt is ready to go. This is the sort of quilt I wish I had time to make, but then when faced with lots of bright colours and 'trendy' designs, I love those too....I can really never decide which I love the best! I suppose I am in a lucky position of being able to quilt lots of different sorts of quilts and enjoy each and everyone of them...mmmm, perhaps not the smudgy purple sort!!! 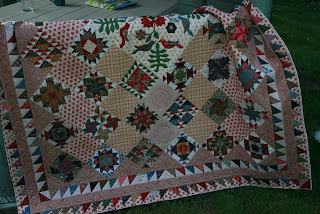 This is really a beautiful quilt! I'm more into bright and lots of colors too. 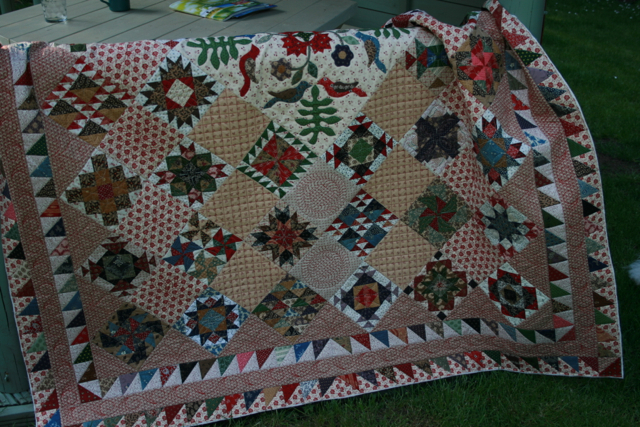 I think it is because when I first started quilting a lot of the "Civil War" type fabrics were all we could find. I really love Batiks! I like it all...although the happier the better. 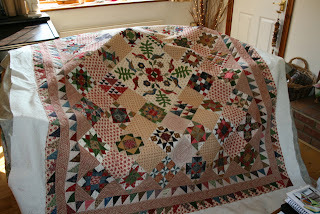 Gorgeous quilt, I am afraid my favourite fabric changes regularly! 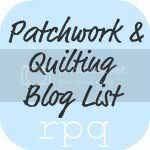 At the moment I love Summersville and I am hoping that the parcel waiting for me at the PO is the charm square pack and yardage I have been waiting for!